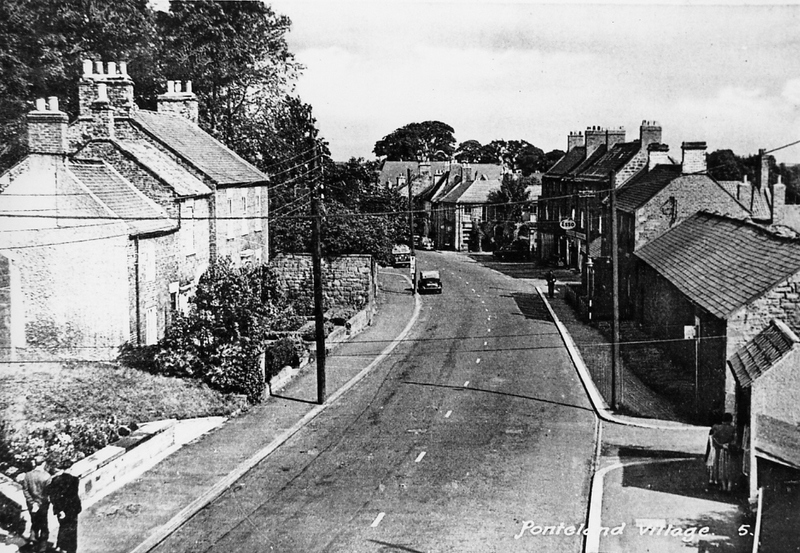 The changes in Ponteland have at times been, though evolutionary, very subtle and almost unnoticeable. It is only the photographic evidence of the past that reminds us of the changes that have taken place. Some of these have clearly been for the better, however, there are some legacies from the 1960s which are perhaps best overlooked. Despite early conjecture that ‘Ponteland’ was a derivation of the Roman Pons Aelli this was rightfully later attributed to Newcastle upon Tyne. There are many other ancient documentary references such as Pont-Island, Pont-Eland, Pont Ealand and Pont Esland which clearly reflect the nature of its position, close to the river Pont and surrounded by low lying fen or marsh lands. 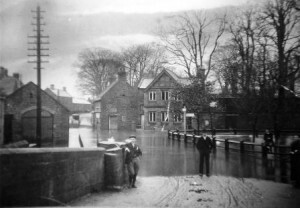 Frequent flooding was a common feature of the Pont and it is recorded that the village was inundated several times in the 1800s. 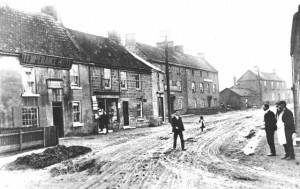 Particularly dramatic examples occurred in 1900 and 1903 and these were recorded by Robert Charlton, an amateur photographer living in Ponteland, who was also responsible for many of the photographs of other early village scenes. Some of these, from original mounts and glass pates, appear within this publication. It was not until the early 1990s that major flood defence works were undertaken to restrain the Pont. The basic layout of the village, centred on the line of the 1830 Ponteland turnpike road to Scotland and its crossing of the river, has changed very little over the past 200 years or so, although individual buildings have been subject to alteration, restoration or demolition. The principal occupations during these years were initially very closely associated with agriculture although there was limited employment in mining and brick making. The Meadowfield Industrial Estate has introduced a range of new businesses over the years and development of the computer industry at the east end of Bell Villas seems appropriate as we approach the Millennium. During the nineteenth century the population of the parish remained fairly static and despite the rapid developments of road and rail transport, and some early twentieth-century growth, it was not until the 1950s and ’60s that Ponteland began to realise its full potential.